The water fountain makes every outdoor space not only look way more attractive but also feels so inviting. 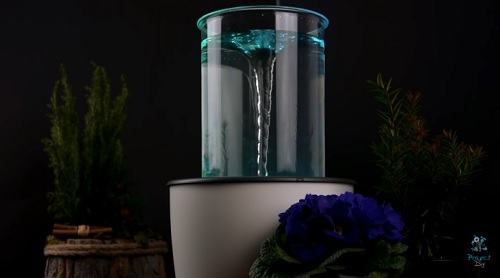 It is famously known that water is one of the most important elements in our life, therefore, the water feature with deeply blend with our soul. The sound of the endless moving water feels so relaxing, and the splashes purify the air around. 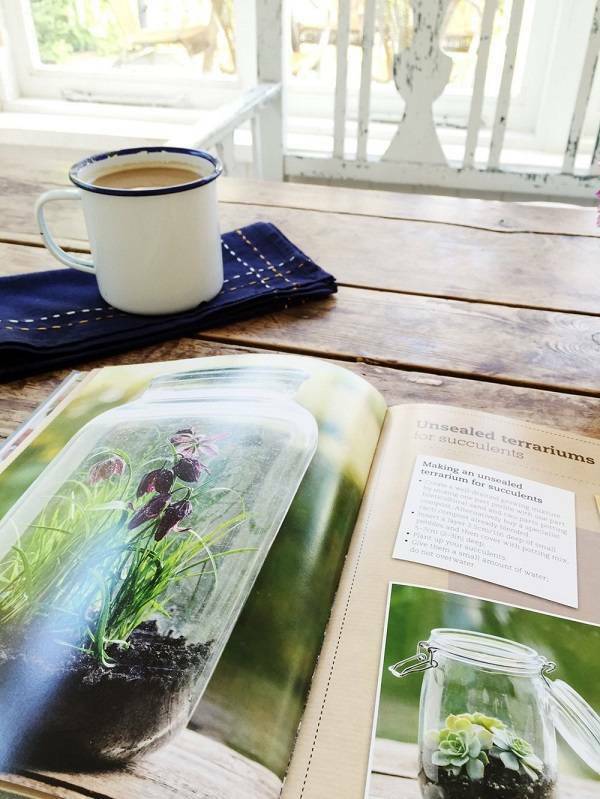 Whether you have a patio, a deck, or a garden, adding a water feature is always a good idea. 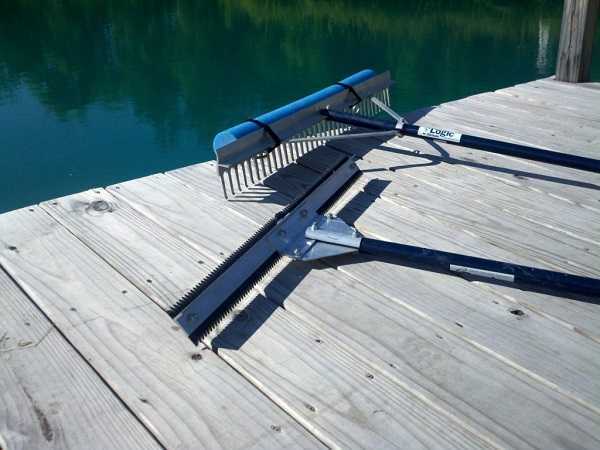 It will make the outdoor space more exhilarating to enjoy and will amaze all the coming guests. 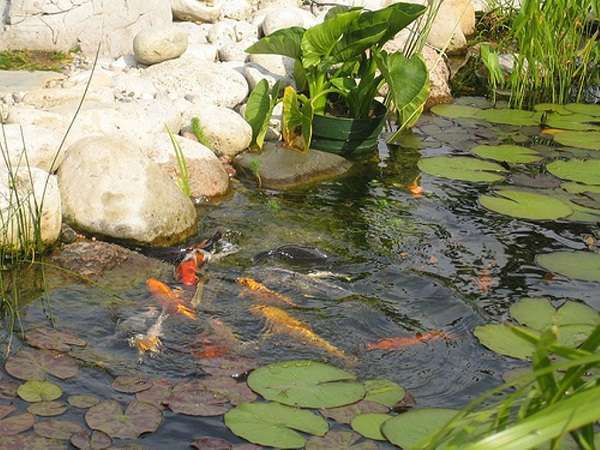 Water feature also brings your outdoor living space more alive. As one of the most popular water feature chosen by many homeowners, a fountain can be a focal point to the outdoor space. 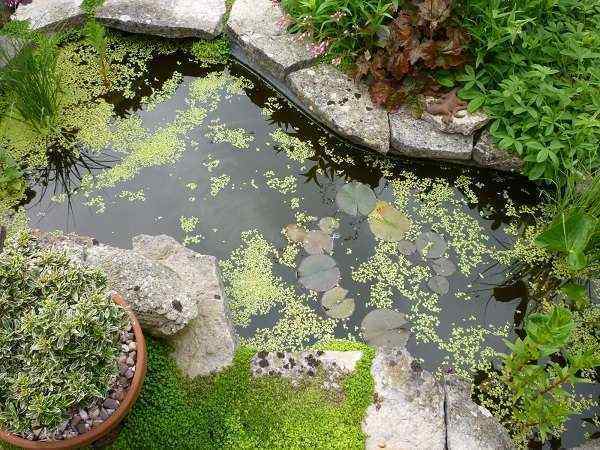 Choosing the one which looks fascinating is a must, to enhance the style of your backyard. 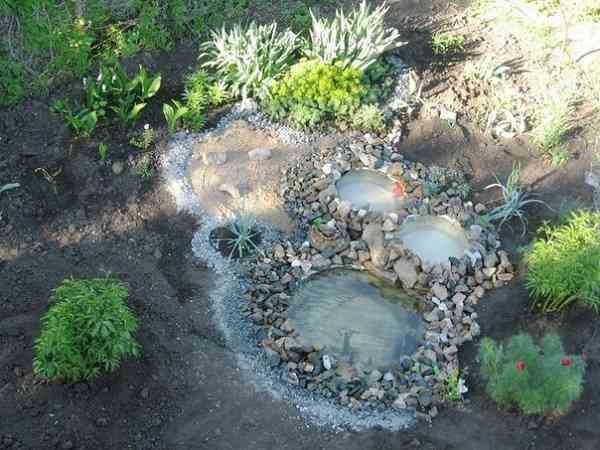 The design of the water fountain should make the backyard looks and feels more inviting. There are hundreds of water fountain designs that you can find in the market. They are made of various materials to match with your outdoor space surroundings. The prices are various, mostly depends on the material and design. 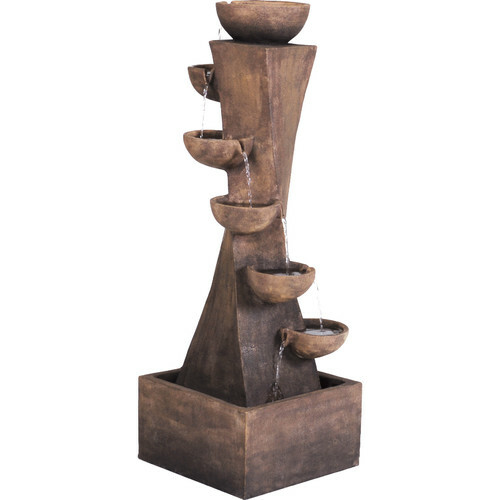 Here, we have some gorgeous outdoor water fountain under $350 which is not only a water feature but also a piece of art to enjoy in your outdoor space. Let’s take a look. 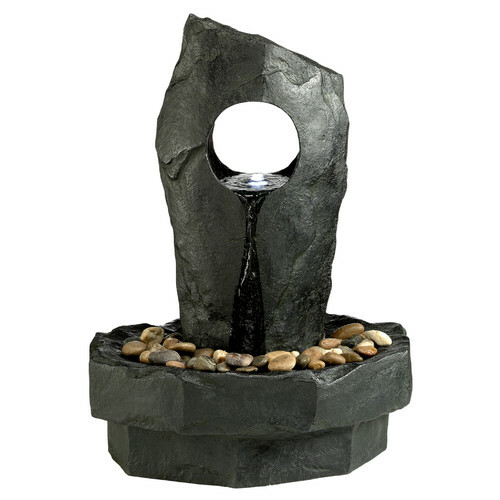 The elegant pillar style outdoor fountain which adds such a calming atmosphere to your backyard. 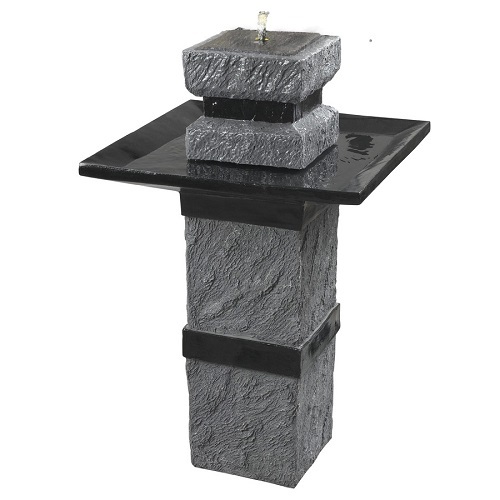 The aged stone design and the gray-black color of this fountain look natural and modern at the same time. It is a 34 inches solar powered fountain which can be used without electrical outlets. The beautiful combination of copper and wood makes this fountain looks so gorgeous and glamorous. The water which cascades through the golden dome into the elegant basin is so enjoyable. 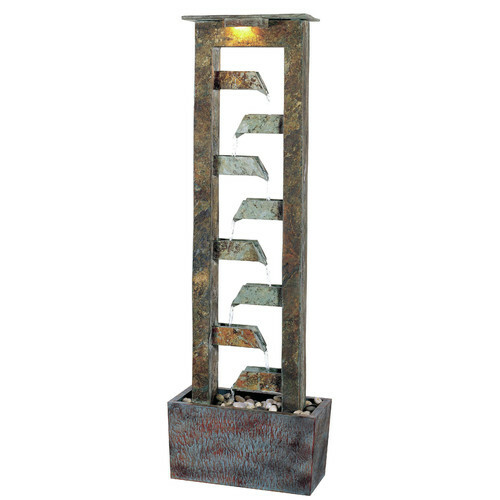 It is a 30 inches fountain comes with the built-in light to enhance its look in the evening. 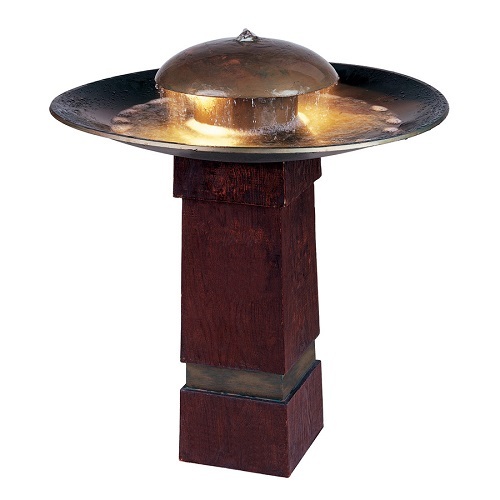 The fountain gives such a traditional and natural touch to the outdoor living space. 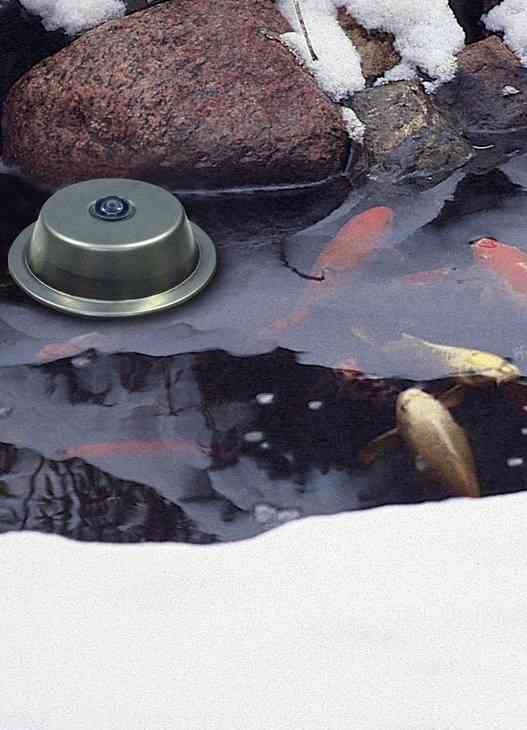 The water cascades endlessly through the 6 bowls which look very adorable. 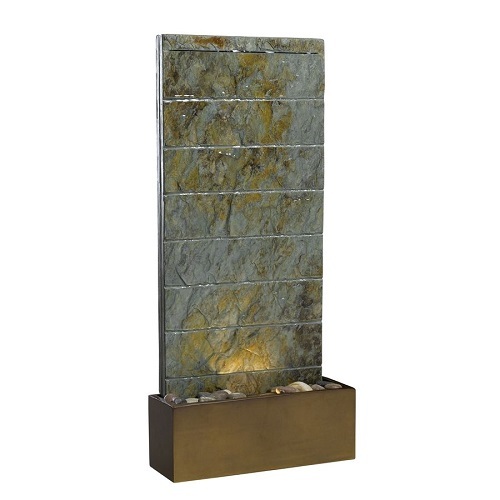 This earthy water fountain is made with enviro stone and comes with 42.7 inches height. 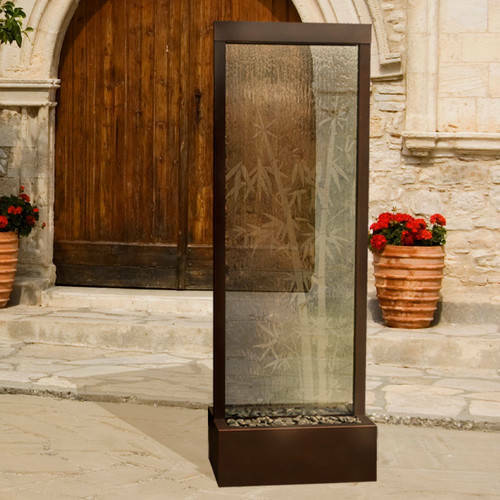 Installing this water fountain will create such a Mediterranean style to your patio or deck. The Rushmore Ringed Sphere design with the rustic look is ver attractive. 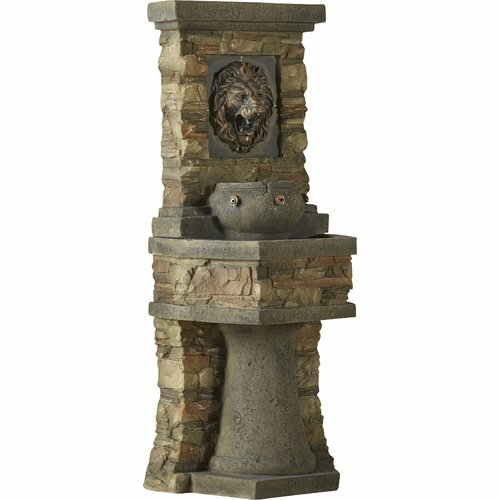 Gives a royalty look to your patio with this lion head water fountain. The design looks so majestic the rustic bricks and classic stone style. 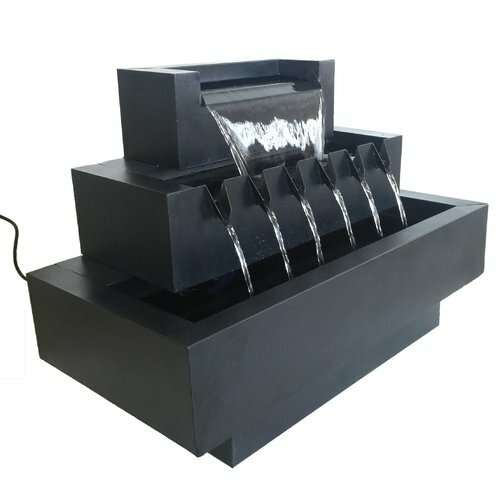 Th 4 water flows through 4 channels beautifully in this 51 inches water fountain. 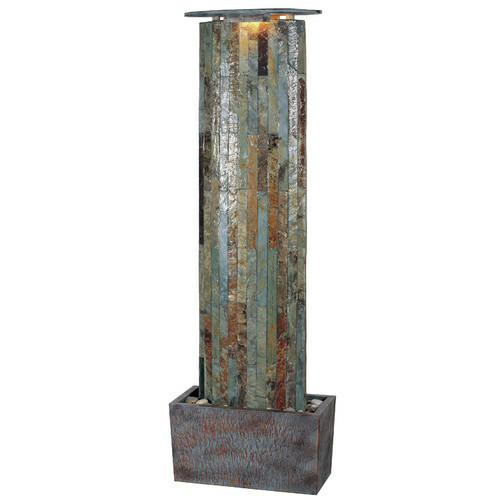 The rustic look of this wall slate fountain is irresistible. 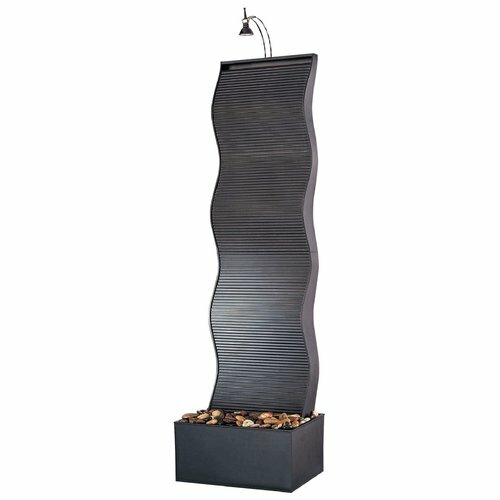 The rushing waterfall of the fountain adds a relaxing and stress relieving atmosphere to your indoor of outdoor space. Two light bulbs are equipped to make the pop up the color of the slate, the style of this 49″ Wildon Home’s water feature is so dazzling. 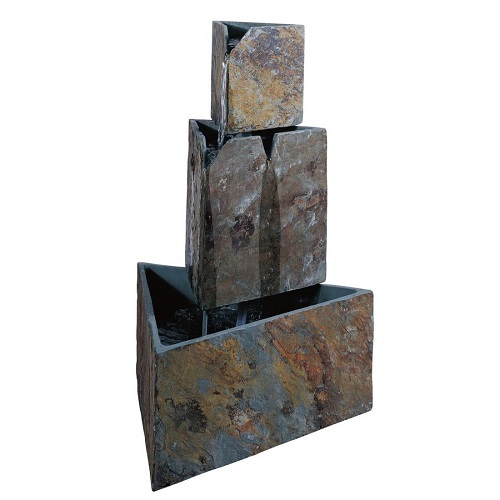 The box style of this outdoor water fountain creates a modern touch to your natural backyard. The basin of this fountain is designed to be hidden under the ground, so the stone-like design will match perfectly with any landscape. It comes with 27 inches height. 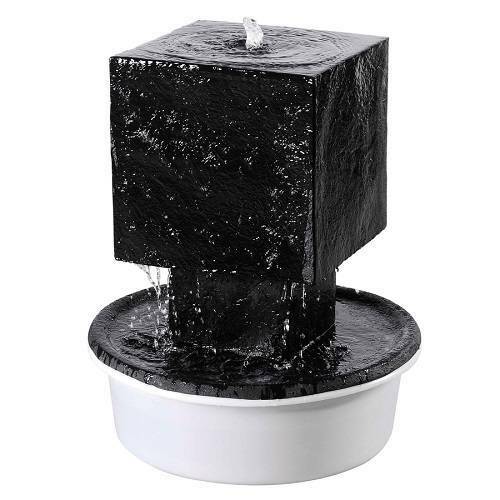 The simple yet gorgeous water fountain which will nicely beautify the interior or exterior of your property. The waterfalls elegantly through the slate onto the included polished river stones. 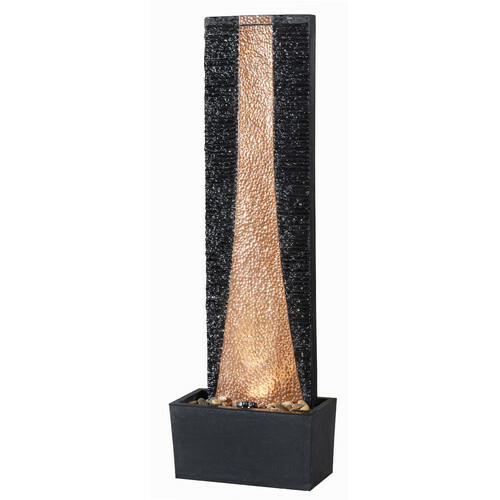 This elegant slim fountain comes with 36 inches height. The curvy style of this water fountain is very attractive. It is a perfect choice for modern covered patio style with its elegant black finish and sophisticated single bulb on top of it. 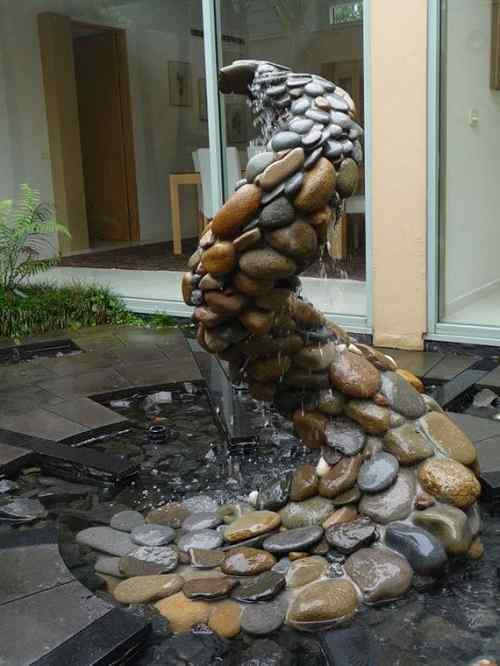 The water flows beautifully onto the polished river stones. The Multi Level Rectangles Water Fountain which looks so modern and futuristic. The water cascades from one box to another which gives a calming atmosphere around the space. 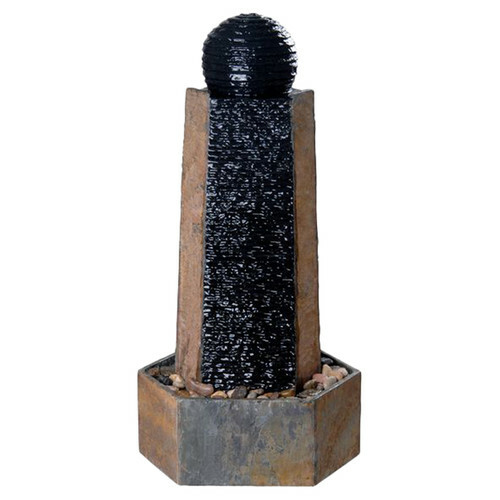 The water fountain is made of zinc-coated metal to ensure its durability and comes with 22.5 inches height x 35 inches wide. 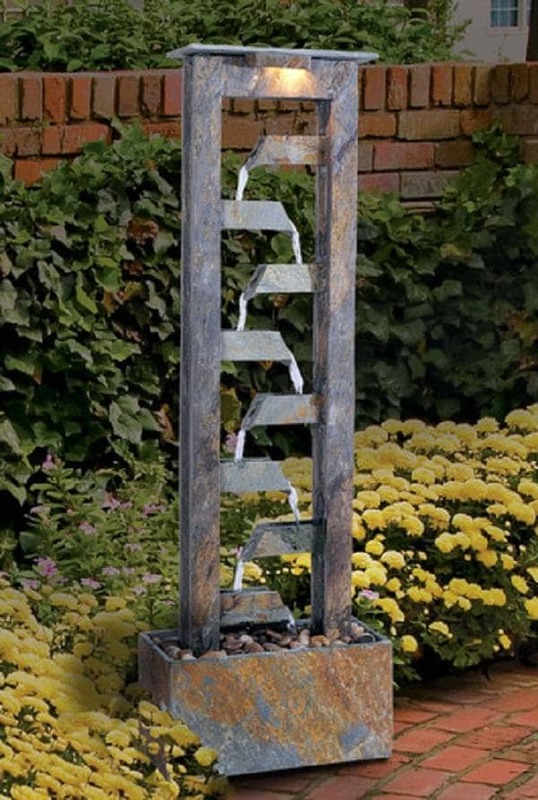 The triangle design of this water fountain looks modern, yet its rustic style makes it so natural, it is such a perfect combination to make a piece of art outdoor water fountain. The water comes out through the triangle cut of the slate which falls down into the triangle basin. The fountain comes with 30 inches height. The color combination of this slate floor fountain is absolutely glamorous. 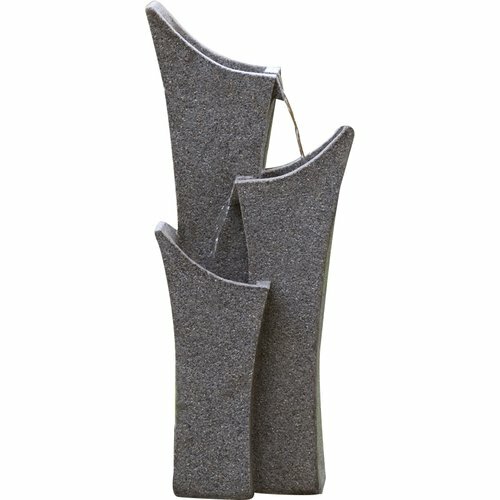 The design gives such a dazzling atmosphere to your outdoor living space. The water flows elegantly down the middle of this 49 inches fountain. 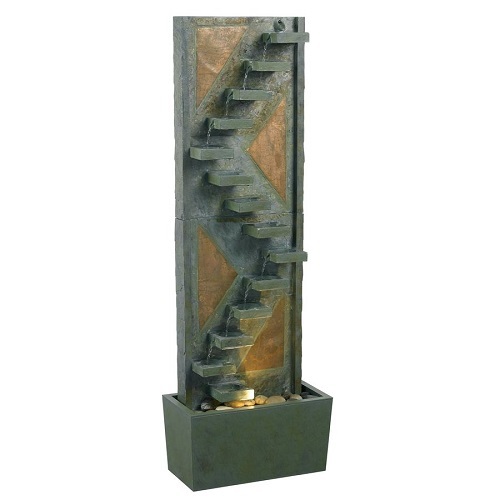 This is a ‘stairway to heaven’ fountain which gives such a luxurious atmosphere. The water cascades endlessly through the stairs, and very joyful to watch about. The fountain comes with 47 inches height. The piece of art outdoor water fountain which looks so sophisticated and fascinating. The water flows smoothly from one level to another. It is so joyful to watch the endless moving water of this 49 inches fountain in your outdoor living space.